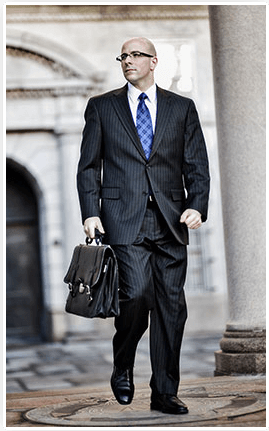 When you need the assistance of a Federal Criminal Defense Lawyer, it is highly advisable that you hire someone who has extensive experience within the federal system.This fact would be important no matter what kind of lawyer you needed to hire. However, there are certain areas of the practice of law that require more experience and exposure than others, and Federal Criminal Defense is one of them. As a former prosecutor with the US Army JAG Corps and the US Attorney’s Office, Attorney Calcagni is well versed in the prosecution and defense of all types of federal criminal cases. This experience is invaluable in his ability to defend accused individuals on trial for federal crimes. One of the main differences between the Federal and State Criminal Justice systems is the amount of resources that are available to each one. In the Federal system, the United States Attorney’s office has attorneys who typically have better academic credentials, as well as the decision making power regarding which cases they will prosecute. What Should You Do If You are Contacted by a Federal Agent? The first question you need to ask if you are being contacted by a Federal Agent, is whether you are being considered as a witness or a suspect in their investigation. Other than that, it is highly advisable that before you answer any further questions at all, you seek out the assistance of a qualified, experienced Federal Criminal Defense Attorney. What Could Happen If You Don’t Have a Federal Defense Attorney? Without a professional to advise you, you may run the risk of inadvertently incriminating yourself. In every instance, whether you are responsible for criminal activity or not, lying to a federal agent will land you in prison. You need a federal criminal defense attorney as an intermediary to assess the situation and discover why you are being contacted by federal agents. Your federal lawyer will also be able to ask the right questions of the federal agents, and provide the right answers from you without lying and by guiding you to avoid any snares in the agent’s investigation process. In some instances, your federal attorney may be able to work out a deal with federal prosecutors where you will be eligible for special consideration if you assist in their investigation, or your attorney may also be able to obtain a letter of declination, where your receive a formal declination from the US attorney meaning that they will not prosecute you for that particular offense. If you are summoned to appear before the Grand Jury, you will need to discover the same information involved in being contacted by a federal agent. Knowing whether you are being considered as a witness or as a suspect is paramount to determining what information, if any, you will need to provide. In each instance, it is highly advisable that you have a federal attorney present and advising you every step of the way. A federal defense lawyer can help you determine when to speak, and when it will be necessary to plead to the “5th Amendment” against incriminating yourself. Your criminal defense attorney, in some cases, will also be able to open a dialogue with the US prosecutors regarding plea agreements or a deal for immunity in return for your cooperation in their investigation. For more about representation at a Grand Jury Subpoena click here. At a minimum, your Federal Defense attorney should be very familiar with the federal rules of criminal procedure and evidence, trial procedure (Why Hire a Trial Attorney? ), and the Federal Court system. It would also be advisable that the attorney be familiar with recent Supreme Court rulings that may affect sentencing, and the federal sentencing procedures and guidelines. A familiarity with the agency leading the investigation, and the U.S. Attorney’s Office that will be handling the case, is also extremely helpful. A federal criminal defense attorney will not be cheap, and should not be someone who handles an occasional case on this level. You need to make sure that you get what you are paying for, and hire an attorney you is proficient at the Federal level of criminal defense. Call Federal Criminal Defense Attorney John L. Calcagni III today at 401-351-5100.